It is always frustrating for Cairns businesses - particularly tourism businesses which are already doing it tough - when the southern media whips itself into such a frenzy. In effect, these news reports are discouraging tourists - especially backpackers and working holiday makers, whose schedules are very flexible - from visiting our region just because of a natural disaster in another part of our huge state. The same thing happened last year when Normanton was inundated and cut off from the rest of the country. 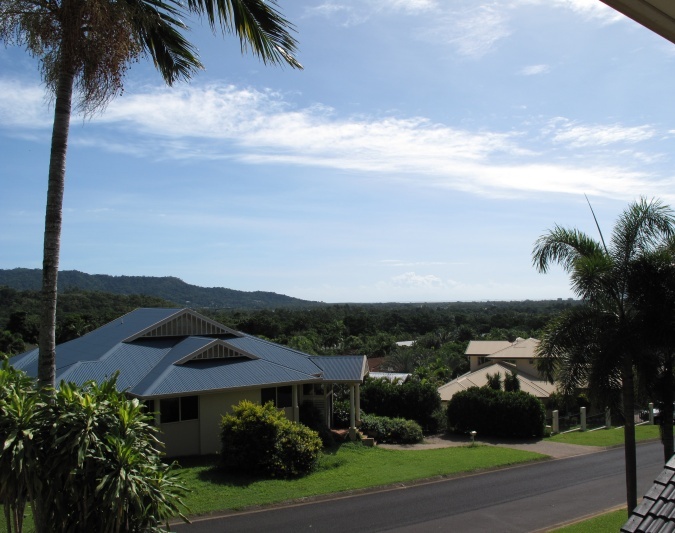 It was terrible for Normanton, but here in Cairns - 700kilometres to the east - you would never know that Tropical North Queensland was anything but its usual holiday paradise. On a totally different subject, anyone interested in the newest addition to the Cairns Unlimited team may enjoy the photos taken by this Cairns baby photographer. This entry was posted on Sunday, March 21st, 2010 at 11:03 am	and is filed under Uncategorized. You can follow any responses to this entry through the RSS 2.0 feed. You can leave a response, or trackback from your own site. Sounds very familiar to me……when the neighbours told you (with us inseide the house) us one year ago to cover windows and doors as there was a hurricane about to swallow us the next morning..and we went shopping on a sunny clear tropical day. I will bear it in mind when we have to give travel consultancy for our future clients……. mmmm, i envy that sweet smell baby borns have around them….when they are breast-fed…It is unique ! Kisses to mum and junior….